We offer a comprehensive programme of training for staff, trustees and volunteers from tender writing to communication skills. We also run a range of events from Funding Fairs to network meetings. Click on a category below to see what we have on our calendar. We recommend that organisations include training costs in their funding applications, contracts and budgets. However, for those for whom the cost is prohibitive, help may be available. Where cancellations are made within 14 days of the course date and/or for non attendance, fees paid will not be refundable; fees due will require payment. Cancellations made within 7 days of the course date and/or non attendance will incur a £10 charge. This fee will increase to £40 if the course is accredited. 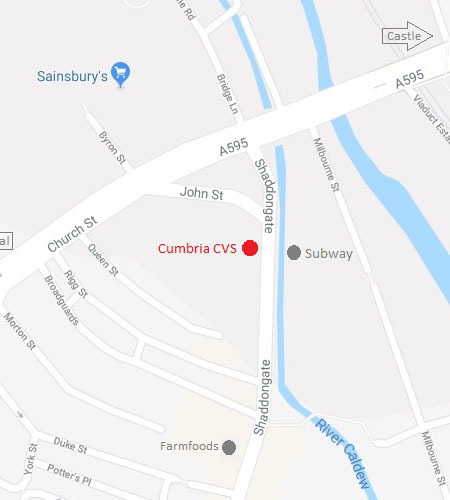 Cumbria CVS is committed to minimising cancellations. However, in the event of a course/event being cancelled, all participants will be notified as soon as possible and we will endeavour to rearrange the course/event on a date convenient to all or where applicable a full refund will be given. Alternatively complete a reply form by clicking here. Looking for funding for Accredited Training? £8.5m in funding has been awarded to Carlisle College to support Cumbria Local Enterprise Partnerships (LEPS) vision for Cumbria to have one of the fastest growing economies in the UK by raising skills levels and reducing skills gaps. The project, to be delivered by a partnership of Cumbrian skills and business support providers under ‘The Edge’ banner will offer funded training opportunities, focussing on workforce development within Cumbrian small and medium sized enterprises (SEES). The Edge project, which will run into 2018, has been funded by the European Social Fund (ESF) via the Skills Funding Agency (SEA) and Cumbria LED and has been award to Carlisle College following the previous ESF Skills Support for the Workforce and Local Response Fund projects that the College led under ‘The Edge’ banner between 2013 and 2015. The collaborative partnership included 15 delivery partners from across Cumbria. The project was hailed a resounding success, delivering training to over 3,000 individuals from 900 businesses across the county. The project was noted for how responsive it was to the needs of business, offering a diverse range of training from dry stone walling to safe and fuel efficient driving to leadership and management. Once again Carlisle College will lead a partnership of key providers on the project including: The University of Cumbria, Furness College, Kendal College, Lakes College, Newton Rigg, Cumbria Business Growth Hub, Gen2 and SP Training. The project will provide individuals with opportunities to develop the skills that will enable them to progress in employment. Whilst at the same time it will support employers to take on and develop individuals to fill intermediate, technical and higher level skills gaps and shortages to enable growth. In order to deliver a highly responsive programme that is tailored to the needs of business, eight employer panels will be set up in priority sectors to ensure employers are involved in directing and shaping the training services that are provided. Finally, in order to promote and support the take up of apprenticeship opportunities in the county an impartial brokerage service will be created for businesses. This has the aim of simplifying the recruitment of apprentices and will be managed by Cumbria Chamber of Commerce with Rob Johnston MBE, Chief Executive of Cumbria Chamber of Commerce also speaking at the launch event.